The shower serves so many purposes. It's a place to think (meditation center), sing (sound stage) and luxuriate (pampering paradise). 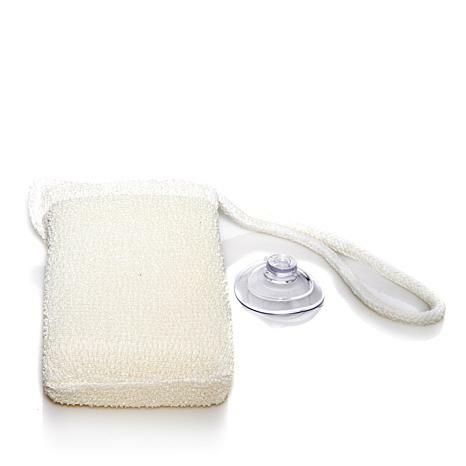 This body scrubber is the perfect shower companion. 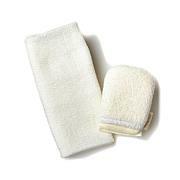 It provides gentle, total-body exfoliation and helps create a rich lather with your favorite bath products. And when you're belting out tunes, it can serve as your shower microphone. This is just the right texture for me. I want the old dead skin and dirt off as much as possible. Will order again and for gifts as well. Use this daily. Was having trouble with a brush being too harsh on my skin. This seems to work well! 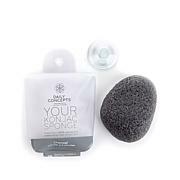 Great scrubber and such a good idea putting it in the shower reminds me to use it and I do. Takes the dead skin off. I love this product. Wash cloths and sponges don't clean the body near as good as this scrubber. I would buy ten at a time, if on sale, just to stay stocked up. Very happy with this scrubber. I can use it daily and is great at exfoliating.